Live Learn Shine On: Olympics - Pay To Watch On Screens? Thousands of spectators will be charged to watch the Olympics on giant screens. 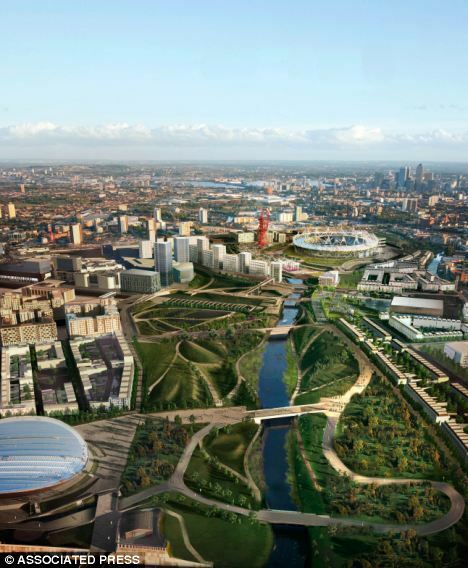 The decision to charge for entry to the Olympic Park has proved controversial after taxpayers footed the £7.25 billion bill for the site. It is understood there will be at least 20,000 grounds tickets for the park in Stratford, East London, priced at £10 or more. The park houses the 80,000-seater Olympic stadium, the velodrome, water polo center, handball arena, basketball courts and aquatics center. The largest screen will be double-sided and floated on a pontoon in the River Lea. The banks around it will be landscaped into a bowl shape, where spectators can sit. Organizers Locog had hoped the screens would appease those unable to buy any of the 8.8 million Olympics tickets and help them to feel 'involved' in the event. More giant screens will be put up in London's parks, organized by the Greater London Authority, where spectators can watch the events for free. In Weymouth, Olympic officials will also "fence off" part of the Dorset coastline to stop people without sailing tickets from watching the competitions. Temporary walls will stop residents and holidaymakers looking out to sea and even block the views from some homes and holiday accommodation. A spokeswoman for Locog said: "One of the biggest reasons for grounds tickets is health and safety because of the venue capacities."